New sales tax rules for remote sellers: Is economic nexus on your radar? The WordPress-event ecosystem offers a refreshing retreat from the world of commerce. Yes, WordCamps and meetups accept sponsor contributions and let companies exhibit at their events. But the stated intent of the sponsorship program is to let companies support the event, not to get traditional quid-pro-quo marketing benefits. These posts feel different to me than an organizer-written post about a sponsor, or a video interview with them (as we did in Seattle last year). Like giving them the keys to the car instead of a ride to the store. I don’t recall seeing posts like this on other WordCamp websites. But then I haven’t done a thorough search. Have other WordCamps published posts like these? it might require WordCamp.org to take on additional publishers’ liability, editorial oversight, etc. A couple of other community deputies asked me to elaborate on our conversation about this topic on the MakingWP Slack. I’d love to hear what @remediosgraphic, @francina, and others think. I’ve also talked a lot over the past few years with several WordPress event sponsors about these kinds of issues and hoping some of them share their thoughts, too. I’m fairly certain that it should not be possible to pay for any content to be posted on our sites, wordcamp.org included. I think as a courtesy to allow a sponsor to write content is a great idea. The top level spends thousands of dollars per event (Global sponsors more) for very little table time. Each site is year specific and probably gets very little traction anyway, so one more post highlighting their service shouldn’t be an issue as long as it’s open to the same sponsorship levels and included on the sponsorship package page. Blogging is the heart and soul of WordPress. If we forget that, we forget why we’re open sourcing information and the purpose of WordCamps in general. Now, regarding the duplicate content problem, one way to go about it would be to have these top level sponsors prepare a unique article for every WordCamp event they sponsor to avoid problems regarding duplicate content. As a WordCamp organizer and sponsor representative myself, I see more and more WordCamps struggling to find enough sponsors for their event. The number of WordCamps around the globe is rising, the budget of the companies that sponsor many WordCamps is limited. Organizers need to find more (local) sponsors. In my opinion, the sponsor blog posts are an interesting opportunity to add more value to a sponsorship package. I am aware that sponsoring WordCamps is meant to be about giving back. But I am also aware that there are other possibilities to give back and I wouldn’t be pleased to see sponsors losing their interest in sponsoring (a lot) of WordCamps. Therefore I am always happy to see WordCamp organizers testing new ideas when it comes to sponsorships. I’ve seen other sponsor blog posts in the past, for example at WordCamp Retreat. And I loved the idea of WordCamp Nijmegen to offer freestyle sponsor sessions, which were meant to be not commercial (and they weren’t). The WordCamp Seattle organizer team provided guidelines for the blogposts, and the content was meant to be value based, educational and non promotional. And that’s what I see. The global sponsors probably want to see some sort of ROI for shelling out a ton of money. I see more and more WordCamps struggling to find enough sponsors for their event. The number of WordCamps around the globe is rising, the budget of the companies that sponsor many WordCamps is limited. Organizers need to find more (local) sponsors. I’m pretty sure global sponsors aren’t too worried about duplicate content. What they want is another contextual follow link back to their website. That’s the whole point. So the next question is, if all WordCamps are allowed to do this, how much money does a sponsor need to give a WordCamp to get a guest post with links back to their site published? 1) Raise general ticket prices to help offset costs. 2) Cut some of the perks like the Speaker dinners. 3) Cut some of the swag, like shirts, hoodies, etc. 5) Scale back the scale of WordCamps. (It costs a lot of money to put these on, especially as you need increasingly larger venues). No easy answers to this, but I believe that WordCamps already rely to heavily on the largest companies in the space to foot a large part of the bill. I don’t think that is a long-term option, unless you want hosting companies paying for everything in exchange for advertising. I like those ideas guarding costs of a WordCamp, and I have the feelings that WordCamp organizers including elaborate speaker dinners or speaker perks are not the once that have a hard time finding sponsors. It might be worth considering, to support smaller WordCamps from the gains of the larger WordCamps. I do not know enough about the various budget to make a good case for it. It’s just a thought. They are not sales pitch. To see your prices we are all capable of going to sponsor websites and see the services and how much they cost. They provide valuable content for readers. So if I am a hosting company (hello! I work for one!) I will not write about my caching solution, but I will educate the readers about why having a fast website can help them and how caching is part of the things they can do to achieve that. They are not the same blog post in every WordCamp they sponsor. For that we already have the sponsor “bio”. I am with @otto42 – there should not be any paid content on WordCamp.org nor WordPress.org We need a space to be about the WordCamp event and nothing else. Each Sponsor already has some space on the WordCamp site they are sponsoring. The “educational” content a sponsor would provide, will always be ‘perceived’ biased ‘thinly’ veiled as educational. The WordCamp site is mostly active a couple months before and maybe a month after the event. However that other post stays around for years to come. If you provide the offer to post a blog post on the WordCamp site to sponsors, you would also consider offering the same opportunity to speakers, too. Some speakers support the WordCamp with similar high ‘investment’ as a sponsors. Speakers take two days out of their normal life, even without their own travel costs, given the time to prepare a talk and provide the resources afterwards to the WordCamp attendees. If you would put dollars on that commitment it will easily match that of a sponsor. WordCamp organizers primary purpose is to put an event together that is about fun, about the community and about spreading the word about WordPress. Any activity that distracts WordCamp organizers from that needs to be weight carefully towards the benefits for the Community. The maintenance of a site is hard enough, if you also have to ‘garded’ around ‘sponsored’ content, the burden is to be shouldered by WordCamp organizers and ultimately by the Community Team to include that in their volunteer work. There is no ROI in that. I reached a whole other new level of appreciation for the fellow contributors on the support team, when I responded to about 100~ tickets and reviews in early August. I learned how hard it is to police the space and the grieve the moderators and volunteers have to take for the work they do to keep it civil and helpful. I would not want to invite anything remotely like that to hundreds WordCamp sites and put upon the Community Team. ‘Giving back’ means you already have had plenty of riches from the WordPress space to which you want to give back to. If you subscribe to that concept, talking about ROI (Return on Investment) of a sponsoring a WordCamp defeats the very purpose. I agree with @otto42 and @bph here. Birgit actually said almost everything I had in mind on this topic. WordCamp sites and blog posts need to be informal for persons looking information about the event, not places for sponsors to put their hidden marketing. If WordCamps want to promote content from sponsors, sharing posts in sponsors own blog in WC Twitter account is fine for me and better option. I agree 100% with @bph, she did a great job describing the problems. I think paid content is inherently disingenuous and lacking in credibility. Nobody would trust a car dealership to educate them about buying a car. It’s different when an individual who happens to work at a company gives a presentation on a topic, because they’re acting as an individual, and there are strong guidelines that the presentation has to be neutral and focused on education. When we go to the company, and ask them to write something as the seller of a product, in exchange for sponsorship money, the dynamic is completely different, and skewed towards producing an advertisement that is disguised as real content. Often times, it’s also not obvious to the reader that the content is actually a paid advertisement. For example, in those two posts from the Seattle camp, the “Written by one of our sponsors” sentence originally didn’t appear until the end of the post, so readers didn’t have the information necessary to judge the content appropriately, and readers who didn’t finish the entire post never knew at all. Even if the content is clearly labeled as sponsored, it’s still easy to readers to miss that, because we all know that most people only skim articles on the Web. WordCamps are special because we do things different. Ticket costs are kept as low as possible because we care about making the event accessible to everyone. They’re organized by volunteers so that they’re casual and community-oriented. Event costs are kept low, and sponsorship guidelines kept tight, so that we can create a space where attendees are members of a community rather than consumers of a product. This conversation brings to mind something Bill Gates once said long ago. It was something to the effect that communities do not owe corporations, it is corporations that owe communities because a rich community is what allows the corporations to make money. He was referring to all the things in his life that gave him all the opportunities which led him to create his corporation and it started with the community that he was raised in. WordPress is that type of community. 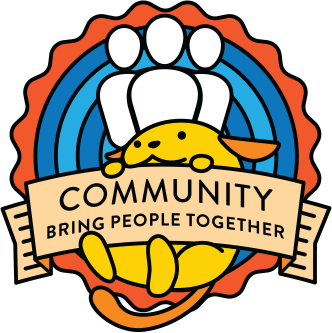 Even software companies that don’t participate in WordCamp will benefit by it because it enlarges the community and all the opportunities in it. So when a company sponsors WC, it is benefiting by the growth it promotes. Any branding it does is just icing on the cake. That’s something I always liked about Bill Gates, as opposed to some other corporate titans who think the city owes them tax cuts for their enormous foot print. That’s true, but I look at it similar to what Maria articulated; that’s them giving back to a community that’s given them, for free, the platform on which their business is built. In addition to that, they’re also getting marketing benefits and access to attendees at a far cheaper cost than typical industry conferences. I definitely think we should thank and acknowledge sponsors for the role they play, but I think we already do a fair job of that, and there’s no reason to go any further, and especially not in ways that cross ethical boundaries. Recently, I withdrew from volunteering or attending WordCamps because I was not happy that one of the major sponsors hosts websites by the American Nazi Party. Most people disagreed with me, saying that freedom of information was a guiding principle even if it is offensive. With that credo in mind, what would you all advocate it the content a sponsor provides in offensive or inappropriate? It seems to me that if you are going to apply the freedom of information argument one case, you have to apply it in all cases. That would mean you would published sponsor-provided content no matter how offensive it is. Otherwise, you would be hypocritical. Not many companies have the luxury to sponsor someone just for a good cause. That all being said, it’s a broad topic and it also involves how *we* and *attendees* perceive WordCamps. In some communities they would like to have much larger events while in some they do a “BarCamp” style WordCamp (personally love both). I would allow it under some guidelines and leave it as a discretion to organisers. I think that having a sponsor creating content for a WordCamp is very useful, it is an opportunity for visibility for the sponsor and a way to deliver valuable and descriptive content of the services or products of the community, however I believe that this content should be reviewed and follow the same parameters of the talks at the event, 100% LPG, no sales speech, no unethical comparisons or content focused on self-promotion. A post written by a sponsor explaining why & how it’s sponsoring the event or helping the WordPress open source projects may help to get new local sponsors. I have thought about this and can understand all of the perspectives. I don’t think WordCamps should be selling content on our sites. That said, I do think that content about or from a sponsor could have value to the attendees. That said, I would think the only way to be certain that the content is appropriate is for the local Organizers to curate and approve the content. I would be opposed to a sales pitch via a blog post, but an interview post, a discussion of what the WP Community is important to a sponsor, or a sponsors perspective/opinion on what talks at this WordCamp they are looking forward to could all be a benefit to the Camp. My only concern would be the extra work to the organizers, but if they are willing and the sponsors perceive value I would not be against curated content appearing on the sites.